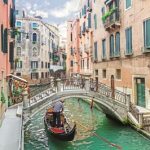 The benefits of being part of the Entire Travel Group powerhouse are on full display in newly-rebranded CIT Italy Travel Connection’s latest brochure, with a revamped program offering new hotels, cruises, tours and luxury city packages. The new 180-page brochure boasts more than 70 new accommodation options, including a selection of new five-star hotels and – for the first time – serviced apartments in key cities. New cruises across the Mediterranean and river cruises in Venice also feature, as do luxury city packages incorporating private tours and five-star accommodation. The introduction of some simple but effective design changes – including new icons summarising tour features and detailed maps for all multi-day tours – have also enhanced the brochure’s impact as a sales tool for agents. Entire Travel Group Sales Director Greg McCallum says the 2019 program establishes a new benchmark for wholesale Italy programs. However, he claims consultants will appreciate just as much the changes happening behind the scenes at CIT Italy Travel Connection. 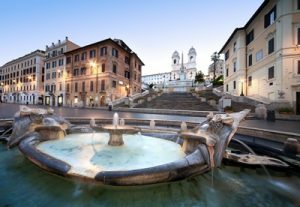 “We have now loaded all CIT Italy Travel Connection content into Entire Travel Group’s leading wholesale reservation and booking system, including all static and dynamic hotel rates,” says McCallum. CIT Italy Travel Connection has also finalised its specialist reservation team, with half of the 12 dedicated Italian experts born in Italy. In addition, the company’s La Famiglia program, which provides its top 50 travel agents with a dedicated 1300 number taking them directly to the most experienced specialist consultant, has been revamped and relaunched as the Entire Travel Club. “The most obvious change of course is CIT’s adoption of the ‘Travel Connection’ brand, which brings it into line with Entire Travel Group’s wider portfolio,” says McCallum. 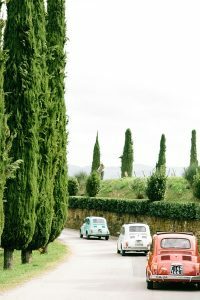 “We thought it was important to highlight the fact that while CIT is effectively a stand-alone business, with a dedicated team of specialists who focus exclusively on Italy, it enjoys the full backing of the Entire Travel Group. “That means travel agents receive the same high-level support services and trusted booking and invoicing processes for which all our Travel Connection brands are rightfully renowned. With the launch of CIT Italy Travel Connection’s 2019 brochure, the Entire Travel Group now provides an unrivalled 400+ brochure pages of product across Western Europe, covering Italy, France, Spain, Portugal and Switzerland. Copies of the 2019 CIT Italy Travel Connection brochure are now available through TIFS.